It's the holiday season, and that means you may find yourself with some extra cash. Naturally, you'll investigate the potential ways you could spend that money, and you may start targeting several different cars. If you're like me, you'll see your additional pocket money and assume your budget has increased tenfold. You'll soon be knocked back down to reality, but it's still fun to investigate some of the pricier cars on the market. The LaFerrari is the only vehicle on this list to top the seven-figure mark. Despite the outrageously high price tag, we can't think of another sports car that would be more deserving of this honor. After all, the vehicle has already been named the Best Coupé by Motor Press Iberica and Car of the Year by Top Gear. The value could be attributed to the limited number of LaFerrari's produced (an estimated 500 between 2013 and 2015), but who are we kidding... the majority of the car's customers are lured in by the incredible engine. The 6.3-liter V12 can already rev up to 9,350 RPMs, but when coupled with the 120-kilowatt electric motor, the powerful, 789-horsepower engine is capable of pumping out 949 horsepower and 663 pounds-feet of torque. This results in perhaps the fastest sports car in the world, as the vehicle can accelerate to 60 miles per hour in only 2.5 seconds (it can also accelerate to 100 mph in 4.8 seconds, 130 in 7.5 seconds, and 150 in 9.8 seconds). 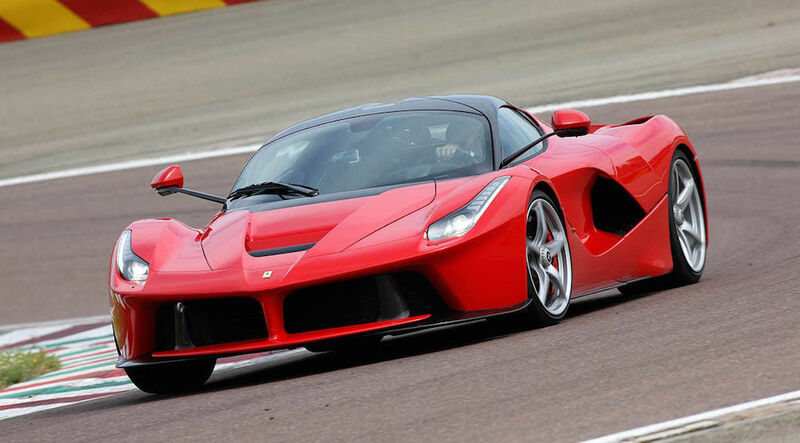 The LaFerrari can also top out at 218 mph, explaining why the vehicle is such a popular choice for drag racing. Relying heavily on the design of F1 racers, the cockpit is track-inspired, with a fixed seat and adjustable steering wheel/pedal box. The vehicle now includes a customizable dash, providing you with whatever information you deem essential. Finally, all of the customizable features (like wood trim, upholstery, technology) can be custom-fit to the owner's liking. While rumors regarding the 2016 model have generally been quiet, it's expected that the LaFerrari will see a slight increase in price... up to $1.7 million. It had been a while since Porsche had produced a legendary supercar, as enthusiasts weren't necessarily thrilled with the brand's vehicles following the retirement of the Carrera GT in 2005. That changed with the release of the 918 Spyder, as it was one of the most stylish and powerful vehicles produced by the brand for some time. To put it over the top, the car is a plug-in hybrid! The DOHC 32-valve 4.6-liter V8 engine can already pump out an impressive 608 horsepower and 391 pounds-feet of torque. However, when that's coupled with the pair of permanent-magnet AC synchronous electric motors, you can expect that power to increase to 887 horsepower and 944 pounds-feet of torque. Combine these units with the race-inspired seven-speed dual-clutch automatic transmission (with manual shifting mode) and you can expect a zero-to-60 time of 2.6 seconds and a top speed of 211 miles per hour. As Jared Gall of Car and Driver writes, the high price tag can be justified for a number of different reasons. The comparable Ferrari and McLaren are about a half-million dollars more expensive, and those vehicles are essentially sold out. 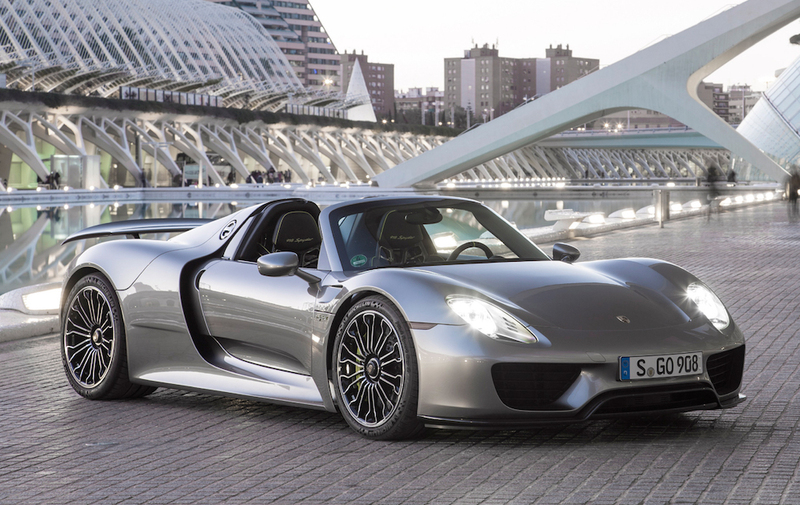 The Spyder, meanwhile, still has at least 400 of its 918 production units still available for sale. 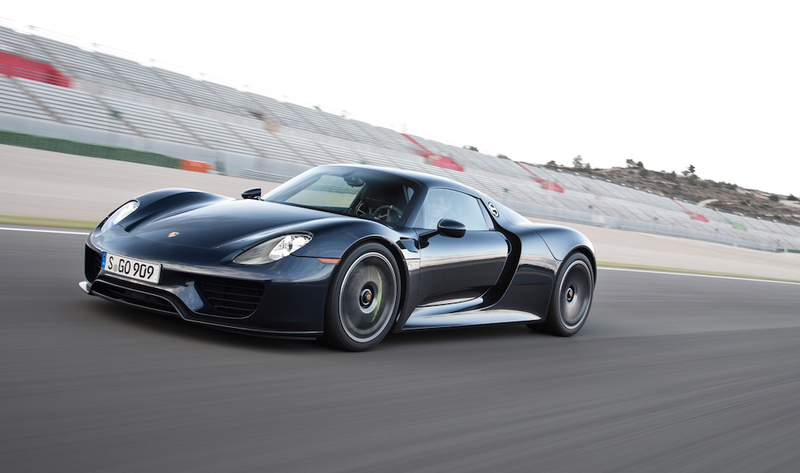 Furthermore, you should expect to pay more for one of the first hybrid sports cars. Some day you can expect a more reasonable price, but we wouldn't anticipate that for the foreseeable future. Perhaps the most stylish vehicle on this list, the engineers of the Aventador were focused on making their vehicle "instantly recognizable." This led to them including a number of unique design features, like the "uncompromisingly crisp contours," the "iconic scissor doors," or 19-/20-inch black alloy rims (with PZero tires). We'd say the nameplate is now one of the most eye-catching and familiar vehicles currently on the road. Of course, you're not going to get much of a look at the Aventador as it zooms on by you. The V12 engine can pump out 690 horsepower and 507 pounds-feet of torque, and you can expect a zero-to-60 mph time of less than three seconds. 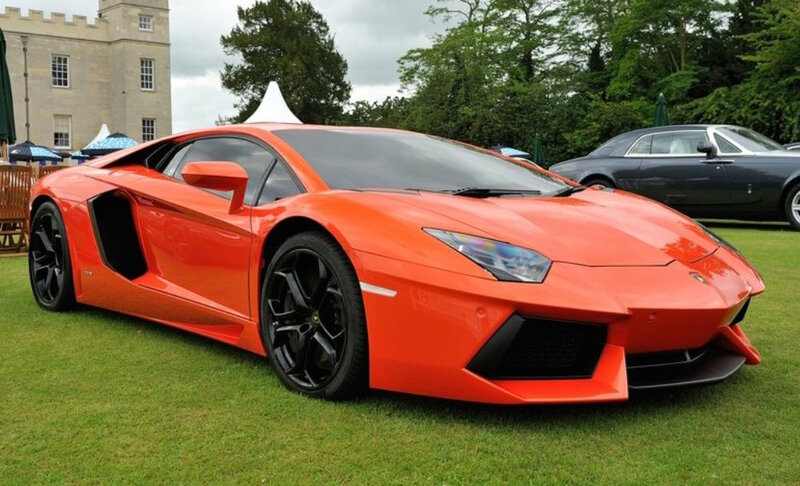 Furthermore, you won't have to continually fill up your Lambo's tank (at least when compared to other sports cars), as the 23.8-gallon fuel tank holds a sufficient amount of fuel. You can actually admire the entire system via the transparent engine bonnet, allowing you to look in on the engine. The interior can be customized to fit the customer's taste, all the way down to the color of the stitching on the premium leather seats. You'll also appreciate the innovative, non-traditional instrument cluster, which will provide the driver or passengers with a variety of essential information and features. Sports car engineers can have issues juggling whether they want to prioritize style or aerodynamics when they're designing their vehicle. The brains behind the F12berlinetta ended up finding the perfect combination, resulting in a sporty and efficient body. This resulted in a design that features both an "innovative system of air flows," several "sleek coupé lines," and a pair of aerodynamic channels, making for a "true marriage of technology and aesthetics." Speaking of technology, all of the special amenities are within the driver's grasp when you head into the interior. With an ergonomic layout, you'll be able to reach all of the necessary controls. For example, the right-hand satellite pod allows the driver to access all of the infotainment features, like radio or vehicle diagnostics. Meanwhile, the seats were designed to be both comfortable and geometric, but the engineers also didn't want the seats to compromise their volume. This results in a generous amount of room, as the vehicle can comfortably sit a passenger who's around six-foot-four. You can also increase luggage space to more than 17 cubic feet of space by hiding the rear bench panel. The 2015 FF is going back to its roots, with the designers eliminating the unconventional (and unpopular) design and replacing it with more Ferrari-like exterior features. This includes a sloping roofline, the elimination of the rear seat, and a revamping of the front fascia and side air vents. 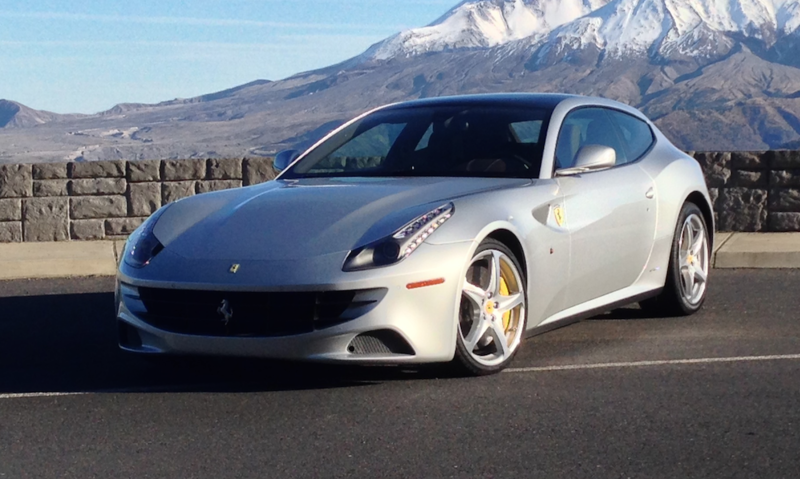 Of course, the Ferrari FF shouldn't only be commended for the brand's clever decision to revamp the exterior style. 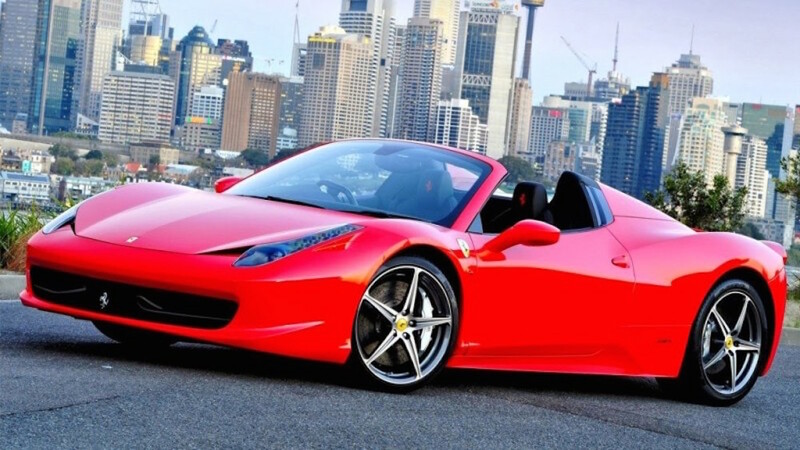 The Ferrari truly makes a name for itself under the hood, as the 6.3-liter V12 engine can easily produce 504 horsepower and 651 pounds-feet of torque. Sure, the 11 city/16 highway mile per gallon fuel efficiency may turn you off, but when you're dishing out close to $300 thousand for a new car, we'd assume money is the least of your concerns. The FF's interior design is nothing incredibly innovative, as many of the styles and features are taken directly from previous FF models. The cabin includes a generally "driver-centric" layout (as Bengt Halvorson of TheCarConnection.com explains), and there's also "fine leathers and metal trim." In order words, it's a very luxurious cabin... just nothing we haven't seen before.